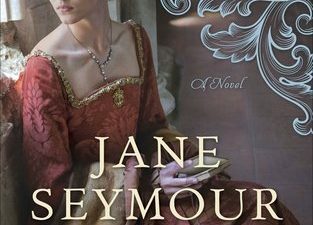 I enjoyed Judith Arnopp’s other books, including the Beaufort Bride series, the Song of Heledd and the Kiss of the Concubine, about Anne Boleyn. 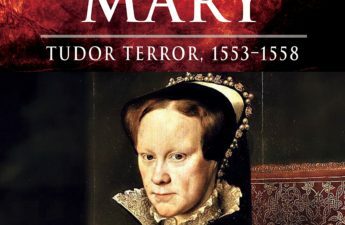 She tells a good Tudor story. But I found the Winchester Goose somewhat contrived. 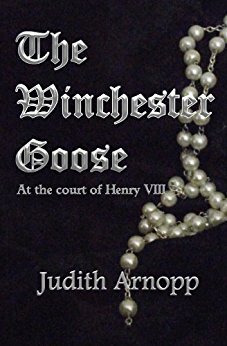 It’s the story of a whore working in London in 1540, during the reign of King Henry VIII. Paralell to her tale is the story of two noble sisters, one of whom is working as a lady-in-waiting for Henry’s bride Anna of Cleves, followed by his next wife, Katherine Howard. Sometimes these stories mixing real life character with fictionalized main character work, sometimes they don’t. I haven’t decided about the Winchester Goose. It’s a nickname for hookers of that era. The second of the two sisters falls in love with the same man who is loved by the whore. When the two women meet, fireworks occur, and their mutual love, who is working as a spy for Thomas Cromwell, is murdered. The part that I found contrived occurs when the second sister then falls down a flight of stairs, becomes mentally disabled, and then grows attached to the whore, ,who is named Joanie. At first, we are led to believe that the second sister, named Eve, has killed her erstwhile lover, which has tipped her over the edge, literaly and figuratively. And this is where it grows contrived. The whore grows attached to her, and her sister Isabella is desperate to find her. 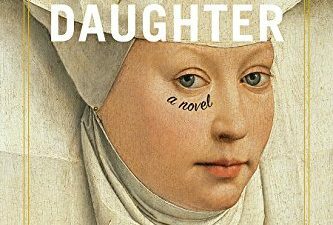 The two sisters’ brother suddenly grows into a monster after hanging out with the wrong crowd, and he is the one to discover Eve, after her sister has witnessed the execution of Katherine Howard. But it is not a pretty ending. The family is on the verge of crumbling, Joanie is tossed in jail, and all hope seems lost. But Isabella, the heroine, now with a husband and child, finds a way to save the day. All in all, it’s readable. But Arnopp’s other books are better.